Microsoft is rolling out new Windows 10 Insider preview builds for Redstone 5 and 19H1 Skip Ahead branches. Microsoft today is rolling out Windows 10 Redstone 5 preview build 17733 to Insiders in the Fast ring. 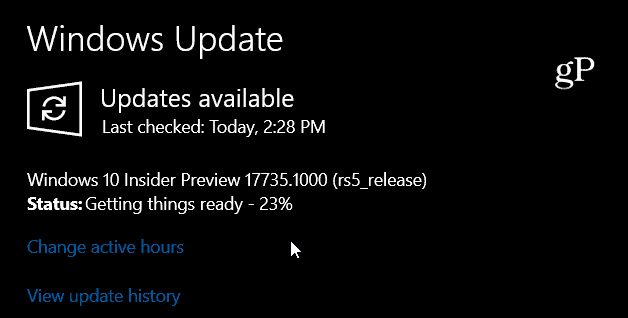 And it’s releasing Windows 10 19H1 build 18214 to Insiders in the Skip Ahead branch. There are no new features in Redstone 5 but there it does include improvements and fixes. The 19H1 Skip Ahead build includes improvement as well as features already included in Redstone 5 like Your Phone and improved networking protocol support. Of course, with all preview builds, there are known issues – more so in the 19H1 Skip Ahead build at this point. Whether you’re running Redstone 5 for Fast or 19H1 Skip Ahead, make sure to read the full release notes for all changes, known issues, and workarounds.